Rice is the main source of Japanese dishes. People in Japan also like rice cakes or mocha. They also call every meal’Gohan’, which means steamed rice is included in the meal. As an example, breakfast might be called as a-Gohan. Steamed rice is added to every Japanese meal. Side dishes are referred to as okazu and are served with rice and soup. A normal breakfast in Japan is often steamed rice, miso (a paste of soybeans) soup, and various side dishes. A few of them include grilled fish, rolled omelet called tamagoyaki, nori, or dried seaweed, natto and much more. If you want to get more additional info about learning Japanese cooking school and Japanese cuisine (which is also known as “เรียนโรงเรียนสอนทำอาหารญี่ปุ่นและอาหารญี่ปุ่น” in the Thai language) then you can explore online websites. For lunch, a variety of rice dishes and bowls of noodles are used to serve. Ramen soba, udon and beef bowls of gyudon are remarkably popular. Many Japanese prefer to take bento boxes of lunch together to work. Dinner is regarded as the most important meal every day. Normally, Japanese dishes are greatly influenced by cuisines in the West and other parts of Asia. 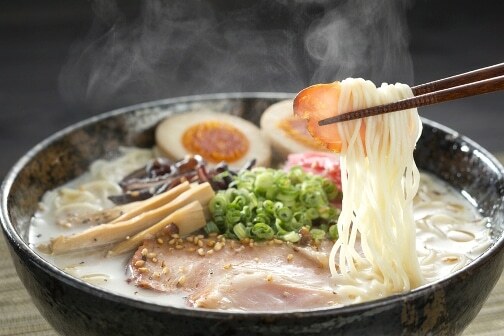 The Japanese usually differentiate Japanese dishes and meals as washoku, which literally means Japanese way. Western food is known as yoshoku. Chinese dishes are referred to as chuuka, but chuuka dishes which are made in Japan are given a Japanese fashion. These dishes are very similar to dishes in China, but there are a few differences.